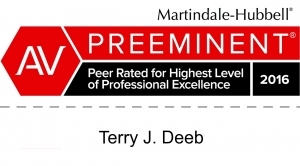 Attorney Fees | Deeb Elder Law, P.A. Our fees at Deeb Elder Law are charged either on an hourly basis or as a flat fee for a specific service. Our fees vary depending upon the subject matter and the complexity of the case. Our fee statements provide a detailed explanation of all services provided and corresponding fees to ensure that each client is being charged a fair price for services rendered. Our fees are adjusted periodically, usually not more often than annually (on a calendar year basis). During our initial consultation, we will discuss with you all possible payment options. When you are ready to get started, please contact Deeb Elder Law or call us at (727) 381-9800.